In 2006, Philip Thalis was part of the team which won an international design competition to revitalise Barangaroo. Three years later, the government abandoned their approved plan, opting instead for a privatised development deal that prioritised a high rise hotel and commercial towers. For our fourth piece in our Barangaroo series, Mr Thalis, a member of the University of Newcastle’s Architecture Faculty’s Industry Advisory Group, was interviewed by The Conversation’s Sunanda Creagh. 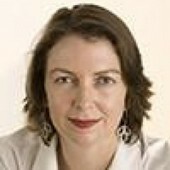 Sunanda Creagh: Firstly, what do you think of it? Philip Thalis: Based on my direct experiences, I think Barangaroo is an unfolding disaster for Sydney - a disaster that plummets further with each degenerative development. At Barangaroo there has been a perversion of public process and an outrageous privatisation of public land - abdicating the public interest. Clearly there are amplifying problems such as density and overshadowing, but these are negative effects rather than the fundamental flaws. The site has effectively been broken up into three enclaves, each discrete from the other and lacking proper connections to the adjacent areas or harbourfront. Each end then devolved to either corporate or individual whim, enabling private agendas to dominate without reference to a cohesive public plan. The southern third has been granted as a development go-for-it zone; write-your-own-rules, make-your-own-deal. This is the largest area – more than seven hectares - with the most floor space ever given over to a single entity in central Sydney’s history. Lend Lease are the beneficiary. The northern third is a kitsch historicist fantasy, quite inappropriate as a vital public place for 21st century Sydney. The central part for now is simply vacant – a physical and conceptual void. Neither of the ends relate to each other and both set themselves apart from the city, rather than embracing Sydney’s western flank to complete the city centre’s longest waterfront. Shrouded by secrecy and spin, mired in self-interest, Barangaroo has excluded wider public scrutiny, engagement and access. A critical failing, a failing of governance, is that engaging concepts of the public interest are neither articulated nor championed. Barangaroo is 22 hectares of public land, yet the development in the south privatises the foreshore. The public domain, the physical space of democratic society, is configured as something trivial, residual and miserable in its dimension and connection. Propositions for new civic or community uses are noticeably absent. Successive NSW Governments have recoiled from ideas about city-making in the public interest, dispensing with informed advisors, knobbling institutions, effectively privatising our waterfront, out-sourcing our urban projects. There are parallels with major projects in other Australian cities. Perth, for example, is promoting an equally brazen blight on its city front. Docklands in Melbourne has been a catastrophe. Development interests must be distinguished from the public interest. Yet there are exemplary urban projects around Australia, with enlightened public leadership to the fore. Sunanda Creagh: What aspect of Barangaroo could have been better? Philip Thalis: Just about every aspect! Our team (Hill Thalis Architecture + Urban Projects, Jane Irwin Landscape Architecture and Paul Berkemeier Architects) won the open international design competition in 2005/06, which had attracted 137 schemes from around the world. That competition’s rules were written by the NSW government, which chose the jury, who selected our scheme as the winner, on its merits. Our scheme gave priority to the public elements: streets, parkland promenades, public transport, community buildings, heritage interpretation, a site specific and enduring armature to support an intense, diversified new urban quarter. Crucially, we proposed the entire foreshore as inalienable public space. Our professional experiences had alerted us to prevalent commercial forces that promote enclaves of self-interest at the expense of the broader public good. Australia needs a more holistic understanding of urban projects. Consider the chaotic Darling Harbour development in the mid 1980s - more theme park than city making. Instantly dated, an autonomous hollow, it turns everyone into a tourist in their own city. We should have learned from its failings, and certainly places such as central Sydney and Parramatta are infinitely better than 25 years ago. So why are our governments making these big projects so dumb and anti-public? Public space is fundamental to civil society. Government should be custodian of our long-term interests, yet Labor and Liberal governments have proved equally bad – perpetuating “business as usual”. They completely lack what could be called “public imagination” that engages with ideals of equity and sustainability, with initiatives for cultural vitality and quotidian vibrancy. Barangaroo also displays the compound failures of government agencies. The site had languished in the backroom since 2003. The competition seemingly was run to fix an inability to advance the project internally. The agencies with primary carriage of the project – the Sydney Harbour Foreshore Authority and the Barangaroo Delivery Authority – have been at best ineffectual, at worst have abjured the public interest. Whether you define the public interest narrowly as financial return to government, or more ambitiously as creating a vibrant 21st century city that is open and engaging, whether you define it as making an imaginative beginning or bequeathing a great legacy for the future, these agencies have failed by any measure. Sunanda Creagh: What’s right with it? Philip Thalis: Barangaroo is profligate in its failings. The streets are narrow and crooked, the waterfront promenade disjointed, the parkland fast contracting, the commercial monopoly. With the Planning NSW’s acquiescence, Lend Lease cram three of the country’s biggest corporate towers hard against each other. With identical overblown floorplates, they lack diversity of form, ownership and occupation. Like boofheads standing in the front row, stumpy, dumpy and lumpy will wall off the city from its harbour. It’s an abject cautionary tale. Essential public transport initiatives have been eschewed, when many were possible: an additional station on existing rail lines; a new metro; a light rail along Hickson Road; or new cross-town streets. Instead, at exorbitant cost, the government is building a pedestrian tunnel from Wynyard Station, which is already overloaded. Effectively, it is subsidising private development without creating any additional public transport capacity or strategic connection - a clueless approach. Our forthcoming book (with Peter John Cantrill), Public Sydney (co-published by BE UNSW and the Historic Houses Trust), examines the city centre over time in all its richness and complexity. Rather than just a sterile CBD (central business district), Sydney’s centre is in fact the core of so many of the metropolis’ interests: of politics, culture and the arts, religion and commemoration. Daily it’s the magnet for public transport, the worker and the flaneur, for tourists and citizens. It is the historic centre, the centre for events, of protest, celebration and public life. Certainly it is the centre for business, but it’s also now the densest residential district. It is simultaneously all of these things, all aggregating and jostling. So why completely skew the city’s public values by accepting a hegemony of business interests? Sunanda Creagh: What do you think of the casino proposal? Philip Thalis: Isn’t this vaunted casino just a trojan horse for a 60-storey waterfront tower? The casino itself seems a minor component of a large hotel with up-market apartments, which will bulk up the tower - just another naked commercial grab. Such financial deals on public land, our land, are too secretive. When grudgingly released, the few documents that appear are heavily “redacted”, that is censored under the sham of “commercial in confidence” provisions. How can they legitimately be “commercial in confidence” when the public is party to the agreement? Why are our interests denied by our elected government? Sunanda Creagh: Should it ring alarm bells for other cities? Philip Thalis: Yes. Everyone rightly celebrates Melbourne’s lively city centre, its streets and lanes, Federation Square and other major projects. Yet Melbourne’s Docklands is a lumpen appendage, the obverse of the city’s successes. We must not squander such important strategic sites. Instead we should be building the open city as a paradigm of the society we wish to be; intelligent, environmentally progressive, equitable and inclusive. Part one: Barangaroo: the loss of trust? Part three: Will a casino be a boon or a bane for Barangaroo?